Enjoy breakfast inspired by seasonal & locally-sourced ingredients. Enjoy breakfast inspired by seasonal & locally-sourced ingredients. Don’t forget, you can always enjoy complimentary inclusions available at every Andaz hotel (internet, local phone calls, in-room local snacks and non-alcoholic beverages) during your stay. Bed and Breakfast Offer valid at participating hotels. Reservations are subject to availability and must be made in advance. Package includes Daily Breakfast for two. Rate shown is per room, per night, based on double occupancy; standard room accommodations. Additional charges apply to room-type upgrades. Additional guests may be subject to additional hotel charges. Guest is responsible for all charges not included in package. No refunds for any unused portion of package. 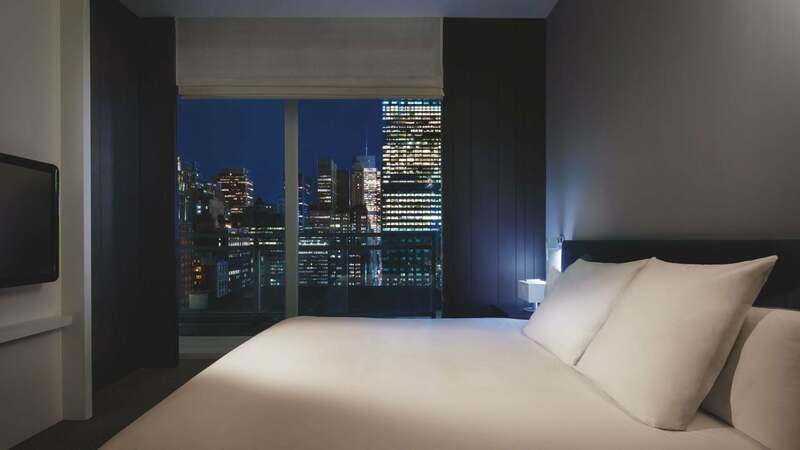 A portion of the rate for this offer may reflect taxes, service charges, gratuities, and third-party charges for certain included items, and those costs are not eligible for World of Hyatt® points. A limited number of rooms are allocated to this promotion. Promotional blackout periods may apply due to seasonal periods or special events, and normal arrival/departure restrictions apply. Hyatt reserves the right to alter or withdraw this program at any time without notice. Hyatt Hotels & Resorts® encompasses hotels managed, franchised or leased by subsidiaries and affiliates of Hyatt Hotels Corporation. The trademarks Hyatt®, Hyatt Hotels & Resorts®, Park Hyatt®, Andaz®, Grand Hyatt®, Hyatt Regency®, Hyatt Place®, Hyatt House®, Hyatt Zilara™, Hyatt Ziva™, World of Hyatt®, and related marks are trademarks of Hyatt Corporation. © 2016 Hyatt Corporation. All rights reserved.